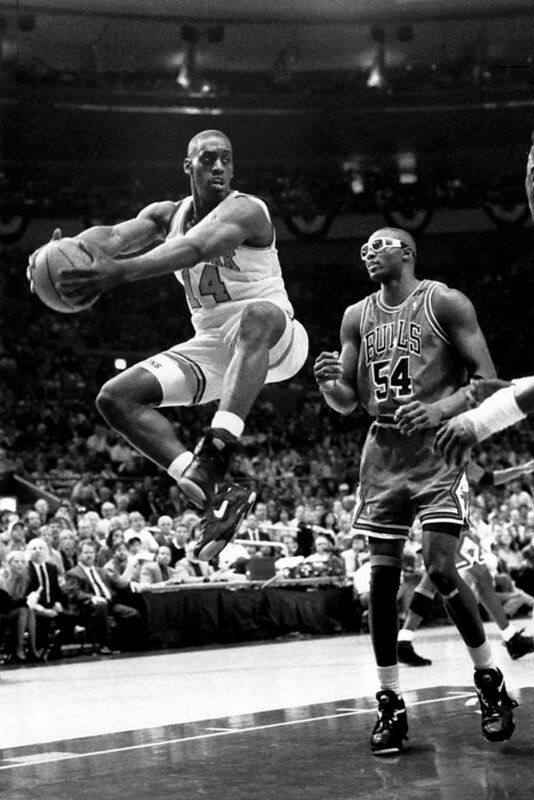 Trying to write poetically about the death of Anthony Mason has been a struggle. The same few thoughts rotate through my head over and over: He was my favorite player as a kid. He couldn’t shoot, and that’s why he fought so hard to be good at everything else. He died at 48 years old, which is too young. We are inundated with celebrity deaths literally every day (Mase was sandwiched between Leonard Nimoy and Minnie Minoso), and because Anthony Mason spent five popular years on the New York Knicks, montages and tributes aren’t hard to come by. Back then the Knicks were the best defensive team in the league, and played with a rough and tumble style that was hated by most of the league, and called “thug-like,” but perfect for 1990s New York. 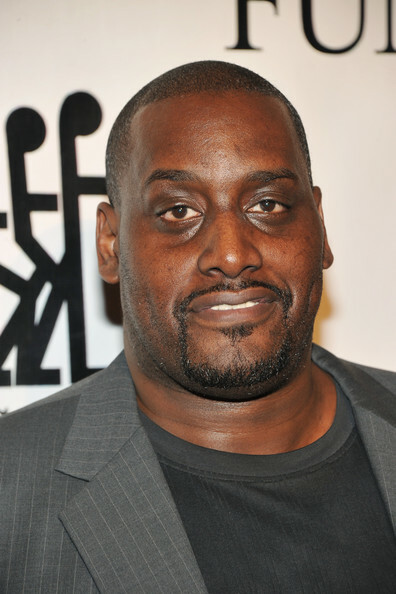 They were perennial contenders, and from 1992 to 1996, Anthony Mason was a core member of the team. He wasn’t a star. Despite obits to the contrary, Mason did not “lead” the Knicks to the 1994 Finals. That season he averaged only 7 points and 6 rebounds a game, but fans loved his unrelenting hustle and the bravado with which he’d guard the best opposing player. He played a more prominent role in 1995, when he won the 6th man of the year award, and in 1996 he played an absurd 42 minutes a game while essentially running an experimental offense designed by Coach Don Nelson. He couldn’t shoot, but he made up for it in every other facet of his game. He played fearsome defense on guards and centers alike, attacked the boards, ran fast breaks, and could throw great passes out of the post. A mediocre shooter myself, I modeled my entire game around Mason, figuring out all the ways to be a useful team player without a deadly jumper. Whether it was the intimidation of switching to a new school where basketball was taken more seriously or the constant presence of bigger, faster and older competition on playground courts, my teenage years were spent battling, like Mason, without being one of the most skilled or talented people on the court. I was absolutely crushed when he was traded to the Charlotte Hornets for Larry Johnson in the 1996 offseason. For my ninth grade poetry class I wrote about his first return to Madison Square Garden as an opponent. (The poem was written in iambic pentameter, and it is best for everyone that it is lost to history.) That night I heard boos in the stands, and it finally sunk in that sports was just a cruel business. While I rooted feverishly for the Knicks until leaving New York for college, a part of my inner fan died the day Mason was traded. Then Anthony Mason himself died. He was only 48, and apparently had been in poor health for some time. As a society we’re pretty good at immortalizing those who live fast and die young, and places like the Times prepare years in advance for the old guard to peacefully pass away, but there’s something very grim about middle-aged death. Joe Strummer died in his early 50s, and Hunter S. Thompson was only in his mid 60s. Those deaths leave me shaking my head, wondering why we can’t take better care of each other as a society. What image conjures up a more frightening reminder of our mortality than someone wealthy and famous like Mason fighting through multiple heart procedures before turning 50? Anthony Mason taught me how to play basketball, and team sports are an important part of developing how you relate to others. (Ask Craig Robinson, who insisted on playing ball with Barack Obama before he’d let his sister Michelle date him.) As a kid, the jacked 6’7 maniac with messages shaved into his head was a joy to root for, and I could be inspired by what he did on the court. But now that I am an adult, I am hung up on the number 48. Some of us work too hard, others party too hard. Some of us eat poorly, others don’t exercise. Some of us make policy for the millions and don’t keep an eye out for friends and relatives. Anthony Mason was the ultimate team player in basketball, and he taught me well. My new challenge is to be that kind of team player in life.